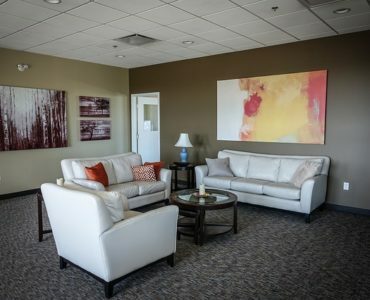 Overstock.com is an online retailer selling everything from clothing to furniture and pretty much everything in between. According to Wikipedia, when the company was founded in 1997, it exclusively sold surplus and returned merchandise on an online e-commerce marketplace. The company liquidated the inventories of at least 18 failed dot-com companies at below-wholesale prices during that time. Well now it’s 2018, some twenty years later and the company’s name no longer fits and they’ve had to create a marketing campaign explaining how their name no longer adequately describes their business. As a marketing and branding consultant, I’ve worked with a number of solopreneurs who chose business names they wish they hadn’t. You see names matter. What you call yourself matters. Back in the 90s, Overstock.com did just that…sold overstocked items on the internet. Now, with fewer failed dot-coms to provide merchandise they’re having to rebrand and the name no longer fits. To change the name now would mean losing a significant amount of the audience and credibility the company has built. And no existing brand wants to rebuild their Internet footprint from scratch. 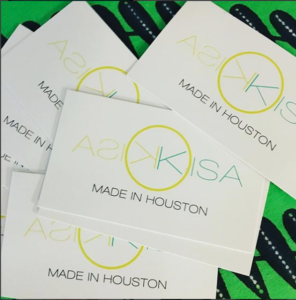 Kisa is an incredible purse designer here in Houston. I own three of her bags! When we first meet at a pop-up shop a few years ago, I instantly fell in love with her work. And I learned something about her brand that day. If you see it, buy it. There may not be another! Kisa and I were at an event together recently and she shared she had just gone through a rebrand. She wanted me to share her rebranding story. Her first logo incorporated the elements she liked and reflected her target audience. It had her name and a circle. Her hand-sewn clutches are basically circles folded in half. She wanted that reflected in her logo. The problem with the logo was that people kept trying to spell her name backward as reflected in her logo. It began to be a problem for her business (especially when trying to submit checks to the bank) so she opted to rebrand. She commissioned a designer to recreate her logo using the same elements—her name and circles. Here’s what the designer created. Kisa shared that rebranding wasn’t easy. Her clients were confused at first. They were looking for “KISA” spelled backward. This new brand could have been some rouge designer trying to take over her share of the market for all they knew. 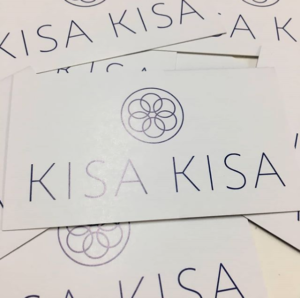 Over time, Kisa’s audience embraced the rebrand but she’s not sure if she lost any potential customers along the way. Kisa is fortunate that she was able to rebrand without too much difficulty. That’s not always the case. Have a strategic plan – Rebranding done wrong can cost you market share and clients. Plus your business could receive very vocal backlash from customers. Just ask the Gap. 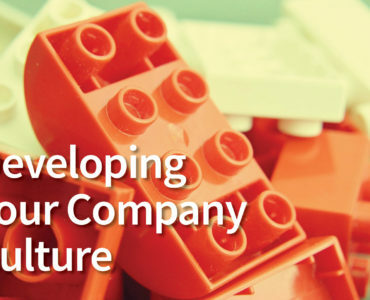 Communicate often – Make internal and external customers aware of your rebranding efforts. Your customers and employees want to be assured that the rebrand isn’t going to cost them. Change isn’t always easy or welcomed. Communicate your new mission and vision. Communicate the benefits. Communicate. Communicate. Communicate. Share the story – If there’s a good story behind the rebrand, share it. Kisa tied her sickle cell story to the rebrand. A good story helps audience members overcome objections and see the greater good in your brand. Now you’re not simply rebranding for the sake of changing a logo. You’re aligning your message with your core values in a more compelling way as to continue growth.